Multiple news sources are reporting that Jeep president Mike Manley has stated that the world will finally have an answer "Pretty soon" to the big question about whether we will finally see the return of a Jeep-based pickup truck model. There's little doubt that Jeep fans are clamoring for a Jeep pickup. The big debate about the viability of a Jeep pickup comes from Chrysler's own Dodge Ram division: the fear is that Jeep pickup sales would cannibalize the sales of a half-ton Ram pickup. However, now that the half-ton Ram 1500 has been castrated by its downgrade to a light-duty independent front suspension with little offroading ability, very few customers would ever cross-shop the two. And don't forget that a Wrangler-based pickup would be a significantly smaller vehicle than the enormous half-ton Ram. Toyota and Nissan are the brands that would lose the most sales; many Tacoma and Frontier buyers are looking for a heavier-duty vehicle with better off-road ability and durability. 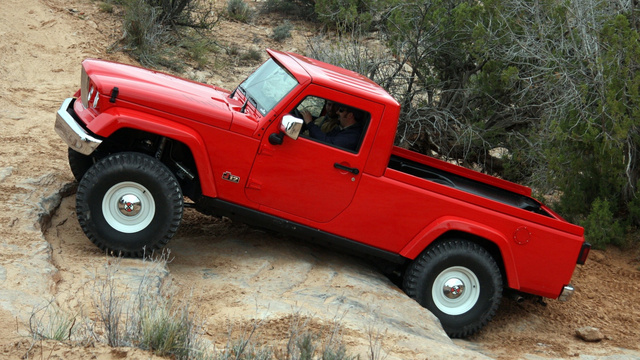 A Wrangler-based pickup would be the answer to their prayers. "Pretty soon." That's the answer Jeep president Mike Manley gave to Australian site Car Advice when asked about a decision on a Jeep pickup truck. And with the next-generation Wrangler planned for arrival in 2015 or 2016, this is the window for getting with planners. There's certainly plenty of lust for a Jeep pickup – just look at the strong sales of Mopar's JK8 kit. Concerning a factory-fresh production version, part of the considerations are whether to build a two-door, or a four-door that could provide more space for people and cargo but wouldn't have the Wrangler's same off-road might. Making a Wrangler variant that can't live up to the stalwart Jeep's off-road standards is a concern for Manley. The approach and departure angles of a four-door wouldn't be a problem, but the length of a pickup would mean "your break-over angle gets destroyed," said Manley, and in that case he wonders, "Then is it really a Wrangler?" The two-door, however, would have "no issue at all." Another idea would be to build a Jeep pickup on a Fiat platform, perhaps the one underpinning the next Liberty. 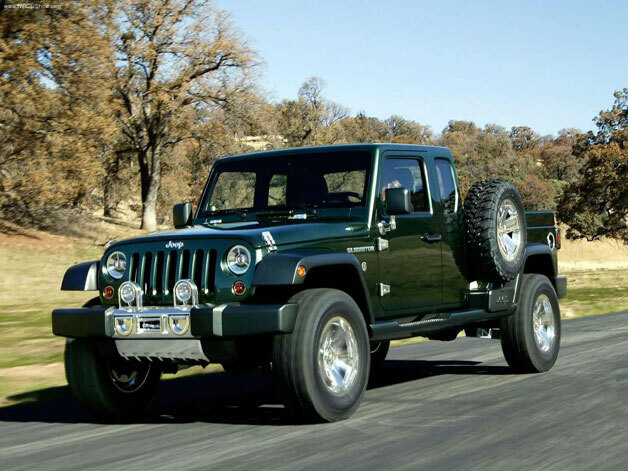 That could be a model distinct from the Wrangler line and, while still possessing the off-road promise of a Jeep. Manley only spoke of that hypotetically, though, saying he could "see the opportunity in the future" for such a vehicle. It shouldn't be long before we know one way or another. We'll soon have an answer.